This is the fifth post in a series about launching the use of the app Book Creator in a kindergarten classroom. You can read the first three posts by clicking on the links below. Next up in the “Katie & Laura are overwhelmed by kindergarteners” series…Strategies for Working Together! We’ve been noticing over the past four days that our kindergarten friends are so excited to work on their devices that they are forgetting the basic rules of working with a friend kindly. Sometimes it’s just instinct for a five or six-year-old to grab an iPad from their partner and hurt a heart along the way so we felt like today was the day to bring back some reminders about collaborating on our devices. We shared each strategy and then provided some dramatic interpretation of the strategy, performed by me and Katie. While the kids were quick to point out that we weren’t actually making a book on our screen during our performance, they were also quick to pick out that we were being kind, making compromises, and sharing. Before leaving the rug, each set of partners chose a strategy for working together and then head out to their iPads to get started. The students found so much value in their work today. Their partnerships created a system of checks and balances that provided some needed accountability in this process. They identified the features of their science books that were missing because they were focused on what they would do when it was their turn. Also, Katie stopped them for a mid workshop teaching point to share her own science book about chicks. This check-in prompted the students to push their own thinking by adding audio buttons when they couldn’t express themselves effectively enough through writing, and to vary the size and quantity of photos for different purposes. To wrap up, we had kids complete a short Google Form to reflect on their work and choose the working together strategy that was their favorite using the stick figures from our anchor chart. So far, they like “talk & type” the most. My super favorite part was when some little guys who struggled earlier this week with partner work found comfort in the structures provided. The “stop, think, agree” strategy gave them the right to say, “We are arguing too much and we should stop touching our iPad and talk it out.” The “talk & type” strategy gave them permission to speak up to help with spelling and creativity. The “I do, you do” strategy gave them each a chance to have their voice heard 100% without the partner squashing their thoughts. We’re going home this weekend feeling like a million dollars. P.S. Kindergarten teachers deserve a triple salary, a personal massage therapist, and bottomless Starbucks. 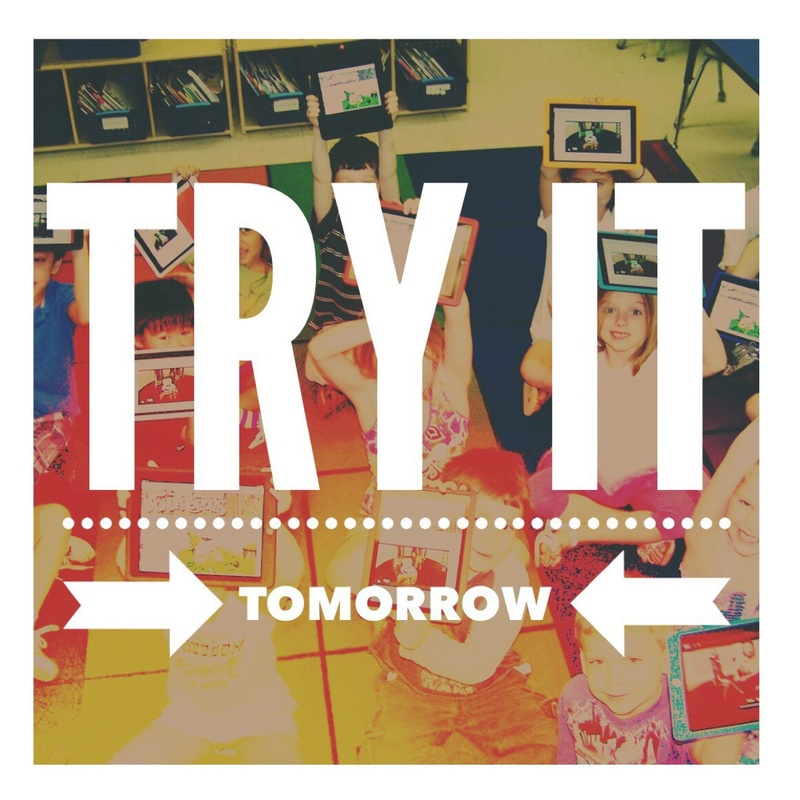 This is the second post in a series about launching the use of the app Book Creator in a kindergarten classroom. You an read the first two posts by clicking on the links below. We had a lot that we wanted to teach kids today and perhaps we tried to take on too much-but each of the micro lessons we taught seemed so essential! We ended up breaking it down into three charts. First….review the most important icons from book creator. This was a chart we created ahead of time and used simply to review things that kids had discovered the day before. I ran through it quickly asking kids to give a thumbs up for each item they had used the day before and look around so they could see who might be a specialist in the room. We guided students to refer back to it as needed during the creation time and it was very helpful for a few kids who had not been there for yesterday’s lesson. Next and probably MOST IMPORTANT…Establish explicit guidelines for HOW to work on a book with a partner. This was a really vital collaboration and social emotional lesson that needed to be done up front so that their time together could be kind, helpful, and productive. Laura and I went back and forth about this chart during the morning. She ended up “winning” and we used photos of kids in action instead of doing the drawings ourselves. A few willing students from an older grade helped out. We co-created this chart with the class as they noticed what they saw the students doing in the photos and talked through what this might look like. Reflection: Most of our friends did really, really well with this today. A testament to the great instruction they’ve been getting all year, the value of explicit guidelines in how to collaborate, and the importance of thoughtful pairing. A few friends struggled and I wondered about other strategies we might use in this scenerio to help. The task…Create a book cover for your informational book about chicks. We took a quick look at some mentor covers before heading off to do work. Students identified that we needed to include a picture, the title, and their names. I hung a small page I had made as a digital reminder on the bottom of the chart. We had intended for students to be given a copy of this at their tables and then it didn’t happen, I wished that it had. It would have been helpful to have a visual reminder of their three tasks as some groups went down the rabbit hole of drawing and started to run out of time. You can visit this link to view the document I created. This is the second post in a series about launching the use of the app Book Creator in a kindergarten classroom. You can read the first post about our planning here. Before the lesson we talked through what supports students would need to play. As strange as that sounds sometimes kids need permission to just dig in and try things out. So we created this chart to help us focus our lesson. Chart creation is credited to Laura and her very neat handwriting. About half of students in each class were able to get started right away. The other half were hesitant at first but after some encouragement that they could do whatever they wanted they were able to get going. Several students showed transfer of learning from Writers Workshop, including drawings, text, and photos on one page. One students asked permission to take another student’s photo and Laura stopped the class to have a great teachable moment about photography and respect. 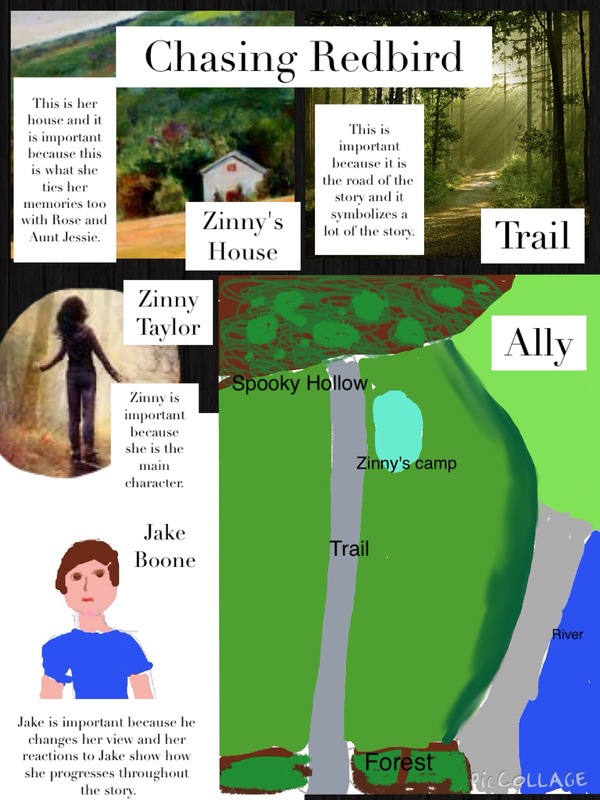 At the end of class we revealed our big project and let the kids know they would be authors and they were ecstatic! This last part is where the real value is in my mind! Real purpose, real audience, excited kiddos. I can’t wait to see how this project unfolds. This is the second post in a series about making digital artifacts of student learning work for you as a teacher. In this series we will discuss the types of digital artifacts we collect, how we manage them, and what to do with all of those great pieces of evidence of student learning. You can read the first post in this series here. 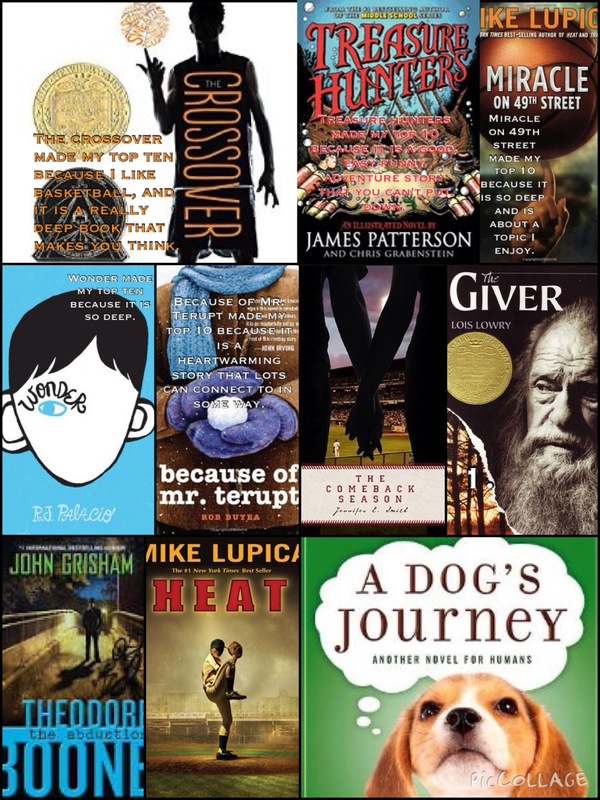 A student uses Pic Collage to share their top ten favorite books with classmates and Twitter buddies. What do I do with all of these digital work samples!?!?! Unless you are an organizational wizard you probably already have some stacks of papers collecting in a basket or on a table somewhere. It’s only September! Digital artifacts are fantastic but what can we do when we have an inbox full of video responses to view instead of a stack of written responses to read? Digital artifacts can and will often take more time to review, especially at the beginning when you are thoughtfully thinking through how you want to integrate them. However, you don’t have to give up all of your time to devote to these artifacts. Impose time limits: Students can and will record a five to ten minute video if you let them. Teaching kids how to create a media response is key. We model for them, demonstrate how to plan (or not in some cases) and show how we are mindful of time. 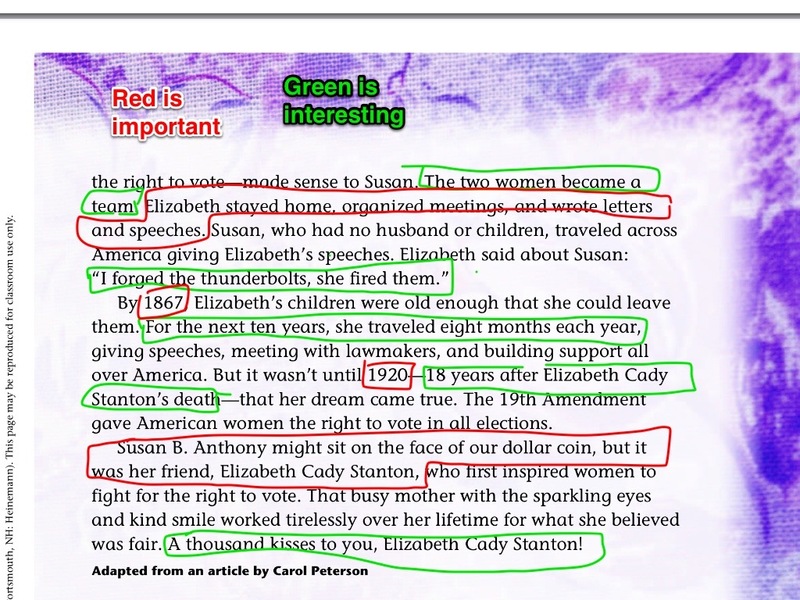 In the example below we see a student’s third attempt at creating a short and to the point video that captured her most essential questions from a short video the class had watched. The process of limiting herself forced her to narrow her thinking to the most essential pieces to share with the teacher and class. Additional questions were kept in her notebook and revisited when time allowed. Reflect on the task: If students are struggling with time limits we sit back and reflect on the task that we’ve asked them to complete. What did we hope to accomplish? What did we hope that students would learn or demonstrate? I’ve left more than one class session thinking “that should have been done in 20 minutes, why did it take 50 and some kids still need more time?” There is a time and a place for using technology as a reflective tool. 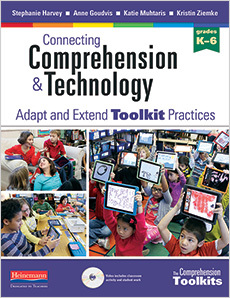 As you learn more about how and why you want to use these strategies reflect, reflect, reflect. What opportunities provide the most information for you and benefit to students. Spot Check: Lucy Calkins once said that if she was able to sit down and read everything that her students wrote then they weren’t writing enough. I will confess. I do not always look at every single video, every single time. There are situations in which we might spot check the class for overall understanding or focus in on a core group of students who we identified as possibly needing more support during a conference or lesson. Yes you want to try and look at as much student work as possible, but you also have to be realistic. Engage Students in Self & Peer-Reflection: We teach students self reflection skills and partner feedback skills to help support kids when we can’t always be present. This feedback is an essential part of the learning cycle as they work with and support each other on everything from giving effective video book talks to math strategies used in a screencast. 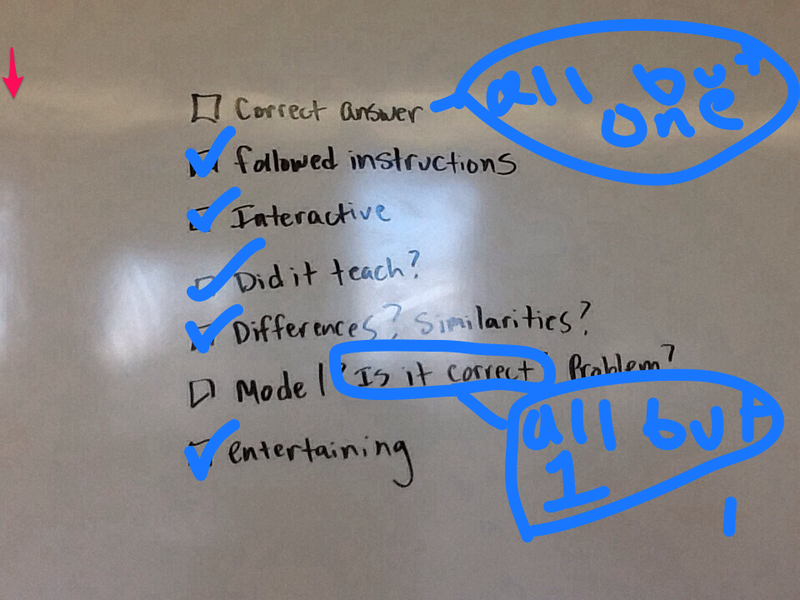 A student uses a photo annotating app to self-reflect using a checklist the class brainstormed together on the whiteboard. We all know teaching is a balancing act. Hopefully, at the end of the day, we can find a system that works well for us and our students. Remember, kids need to own the learning. So teaching them to take on part of these responsibilities is both effective for you and them! Check back next week for our next post in this series. 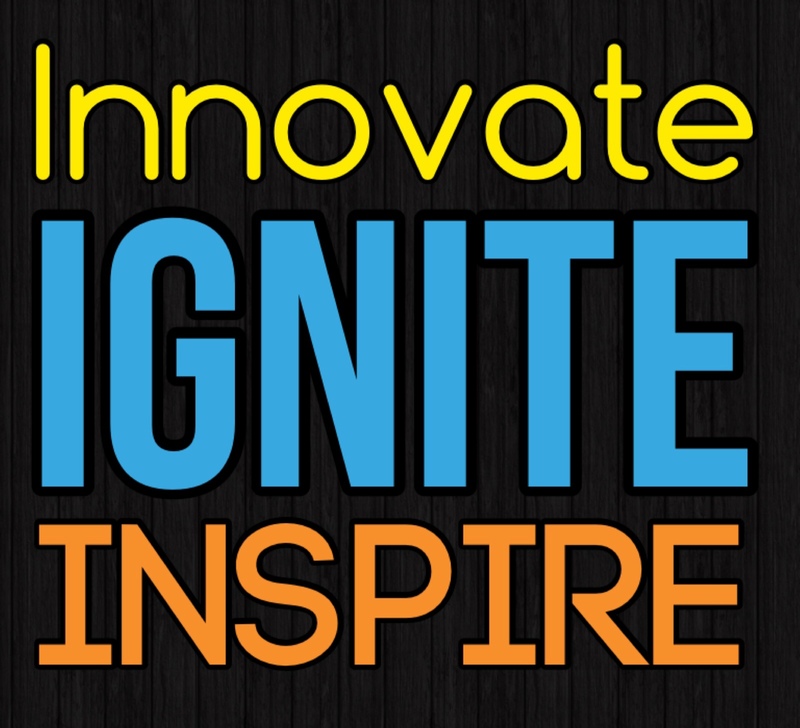 Three ideas for digital artifacts you can try tomorrow! This is the first post in a series about making digital artifacts of student learning work for you as a teacher. In this series we will discuss the types of digital artifacts we collect, how we manage them, and what to do with all of those great pieces of evidence of student learning. What is a digital artifact? Digital artifacts can be photos, notes, student projects, blog posts, Tweets and just about anything that students create using digital tools. They comprise a mixture of student created and teacher documented artifacts of learning over the course of the year. Digital artifacts are great supplements, in some cases replacements, to traditional artifacts that we collect in the classroom because they add elements that we wouldn’t have otherwise been able to capture. For example, teachers often collect student notebooks to read through writing, gather evidence about skills learned and applied, and check on the sheer volume of work that kids are doing. Digital artifacts can add student voice and reflection to this. Instead of attempting to confer with every kid we can capture their voices and thinking through the use of technology tools. We can ask kids to create reflection presentations or portfolios of digital work using screen shots and simple apps like Keynote, SonicPics, or iMovie. Essentially digital artifacts give us more information than we have ever had about our learners. We capture snapshots of kids at work and use these to make our record keeping rich and reflective. How do I begin collecting digital artifacts? I like to the start the year with something simple like capturing photos of students at work and a few notes about the photo in my Evernote account. A notebook for each student holds these notes, snippets of conversations, and other work samples over the course of the year. This is a tool for me to learn more about my kids and to use for reflection when planning. With students it’s important to discuss what archiving is. We give kids examples of the types of work they might want to collect over time. 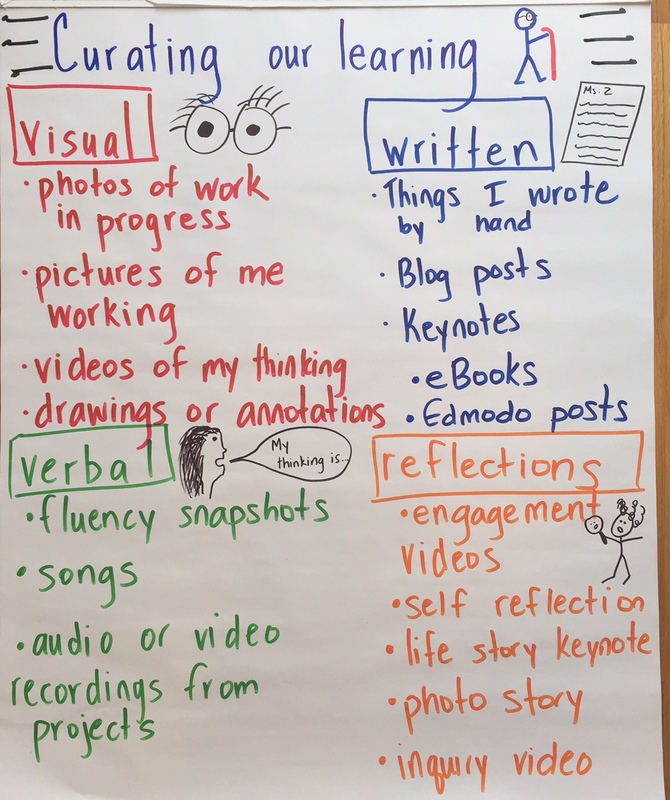 We discuss how each of these items can be used for reflection on ourselves as learners. We also make time for this process, reminding students at the end of a lesson to capture a snapshot of learning from the day or to tag a post with a special tag like “learning” or “archive” so that they can easily find it later. At the end of a unit or quarter we set aside time to review these artifacts, reflect on learning and growth, set goals, and share with peers and parents. What types of digital artifacts are the most important to collect? Although going digital as a teacher has its benefits I believe that the most important artifacts are those that students have created. These might be video diaries/blogs of students sharing learning, short projects or work samples, specific blog posts, exit tickets, or other student created work. 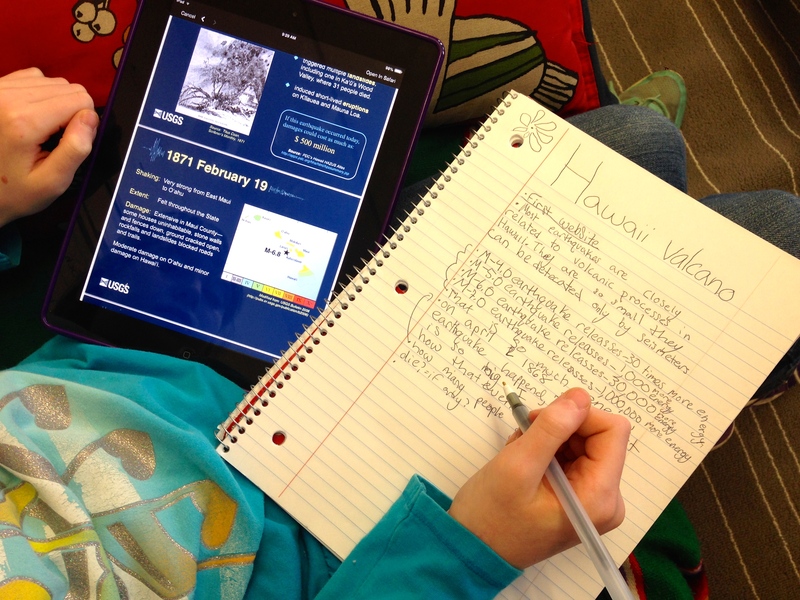 A student prepares images for an audio reflection on reading strategies. We encourage students to collect a variety of samples across subject areas and those that best showcase their growth as a learner. Times when they can pinpoint how, when, and why they met goals and showed growth. 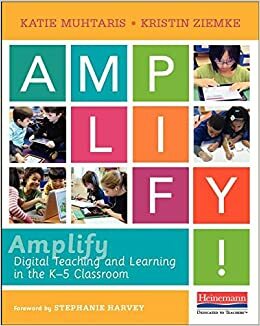 We empower kids by giving them the ownership over their learning and reflection process through these digital artifacts and set up structures to help students catapult themselves to success. These structures include student checklists, goal setting sheets, and conferences. 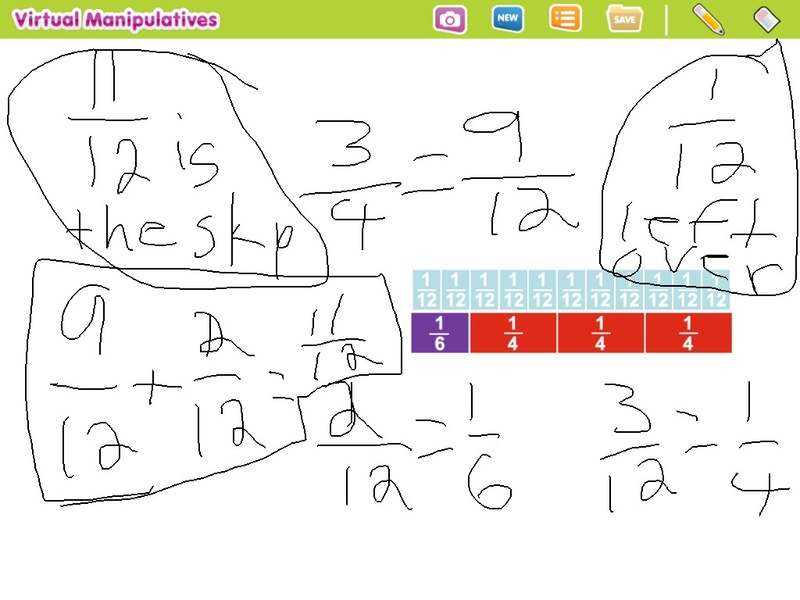 A student shares a screenshot demonstrating their ability to model and use numbers to solve a math problem. This image is saved for reflection at the end of the unit. Check back on Friday for our next post in this series on managing student digital artifacts. We’ll talk about how to handle all of the new work that you have available to you.